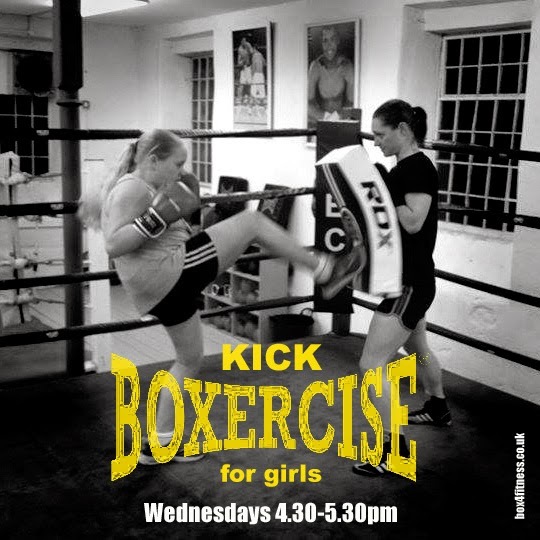 During the last 2 weeks of the summer holidays we're running taster sessions for our Kickboxercise class. This regular class runs on Wednesdays during term-time between 4.30-5.30pm. It's open to girls aged 11-15 and beginners are welcome. It's a training system based on martial arts techniques - kicking, punching, elbow and knee striking and blocking. The girls use focus pads and punch bags as targets to strike and there is no full-contact to the face or body. Initially, none. You can borrow club gloves and/or hand wraps till you are ready to buy your own. Appropriate clothing is either general PE kit or t-shirt and shorts or tracksuit bottoms - clean trainers or plimsolls are essential. £5 per session drop in, £30 for 8 sessions or £40 for 12 sessions.